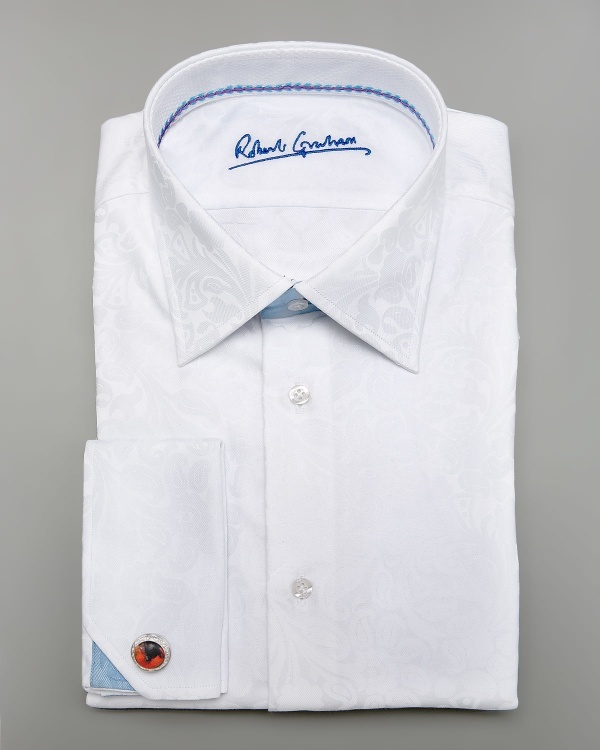 Robert Graham punches up your look with the Colin, a white shirt with paisley detailing. A soft white-on-white paisley pattern recurs throughout the shirt, making it something truly special, yet still somewhat restrained. Blue detailing under the collar and on the French cuffs finishes the look off. Available online now. This entry was posted in Dress Shirts, Tops and tagged Robert Graham. Bookmark the permalink.